2 August 1919, Acting Lt. Col, Major B. C. Riall, Captain & Q.M. Lt. J.M. Scott return to the UK with the cadre of the 1 Bn. Major Sharpe's Foreign Service Detail move from 3 Bn to the 1st Bn. The Bn are with the 2 Bn at Portsmouth. 24th October 1919, the battalions embarked from Tilbury on S.S. Sardinia for Bombay, India. The battalion had 8 Warrant Officers, 32 Sergeants and 460 other ranks. Officers were Lt. Col J D Mather, Maj R A H Orpen-Palmer D.S.O., Capt & Brevet Major H W Andrews M.C. (adjutant), Captains T D Murray, D.S.O., M.C., G D Bailey, M.C., P McEnroy, D.S.O., M.C., D Hayes (Q.M. ); Lieutenants Barry, H. A. Howes M.M. and W. S. Bagnall. Lt. J C Wood (RGA SR) attached as education officer. 21st November 1919 S.S. Sardinia arrives Bombay, India. 31st December 1919 Battalion arrives at Madras, India and the companied are distributed as follows. Madras H.Q., "B" & "D" Companies. Wellington (300 miles from Madras) "C" Company. Some time later (dates not available) the Battalion positions were reorganised as follows. Wellington "H.Q. ", "B" & "C" Companies. Calicut (on the west coast) two platoons from "C" Company. 1921 The remainder of "C" Company move to Calicut together with two platoons of "B" Company (total 140 men) to address the Moplah rebellion. Actions at Tirur Augadi & Malappuram. Capt McEnroy awarded bar to his D.S.O. 4 January 1922 The Battalion reunites at Madras prior to impending move. 16th January 1922 The Battalions parades for H.R.H The Prince of Wales, the Regiments Colonel-In-Chief. 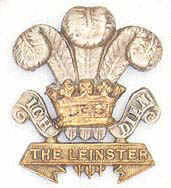 February 1922 The Battalion was ordered to return to the UK. 6th April 1922 the Battalion embarked upon H.M.T. Somali for Southampton. On board were 17 officers, 6 warrant officers, 17 staff sergeants 7 sergeants, 19 corporals and 400 privates. 28th April 1922 The Battalion disembarked at Southampton and moved by train to Chatham.